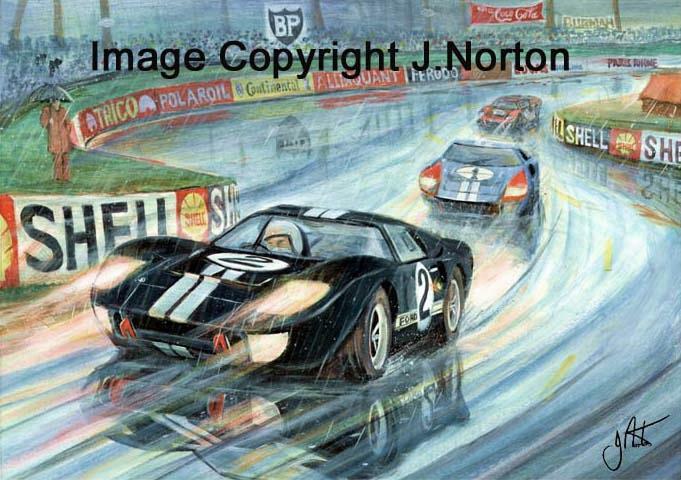 Jack Ickx leads the final lap of the 1969 Le Mans 24Hours ahead of the Porsche 908 of Hans Hermann. 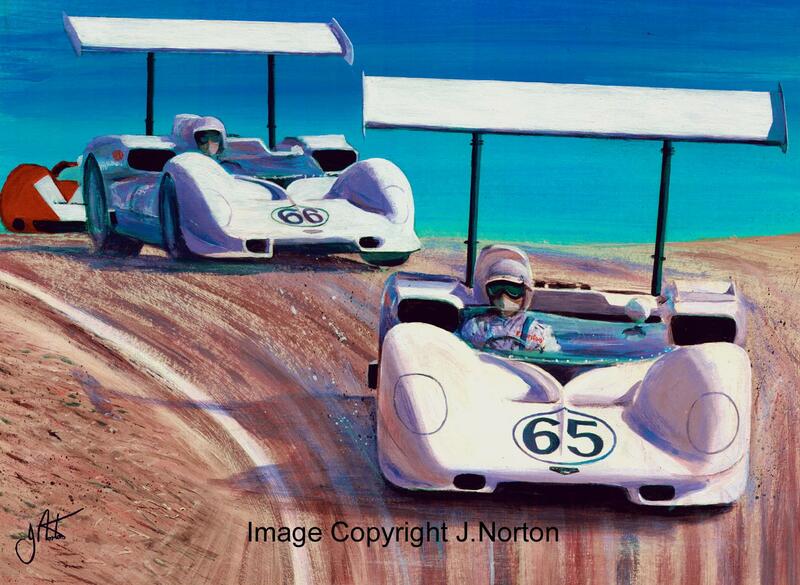 The original painting sold before I acquired printing facilities. 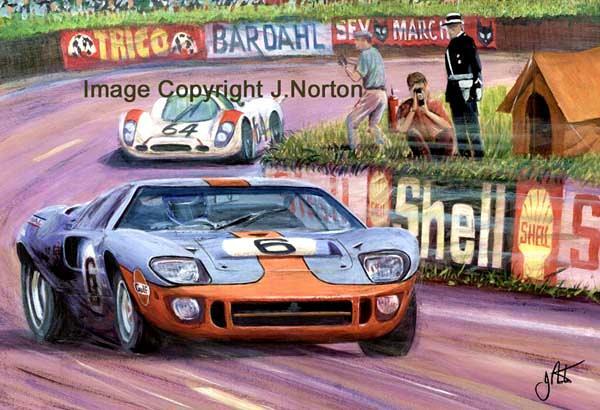 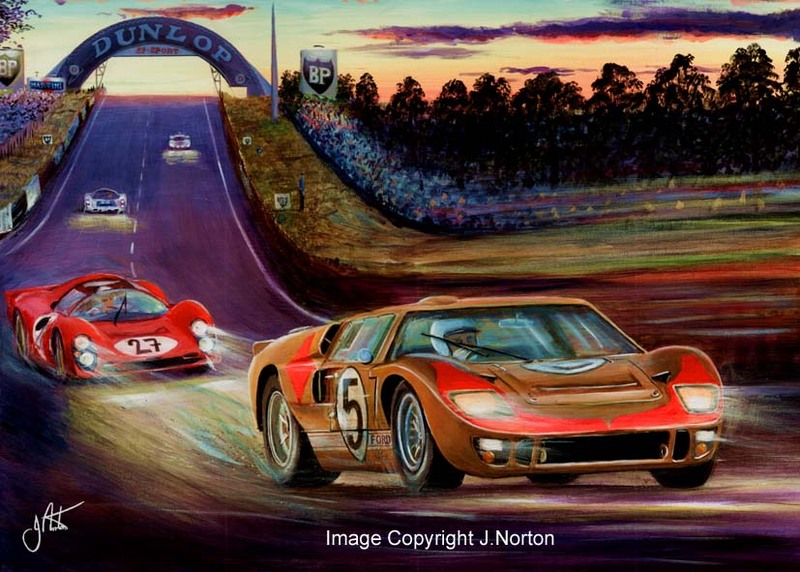 The Hollman & Moody Ford GT40 Mk.2 of Ronnie Bucknum and Chris Hutcherson, which eventually finished 3rd, heads into the night. 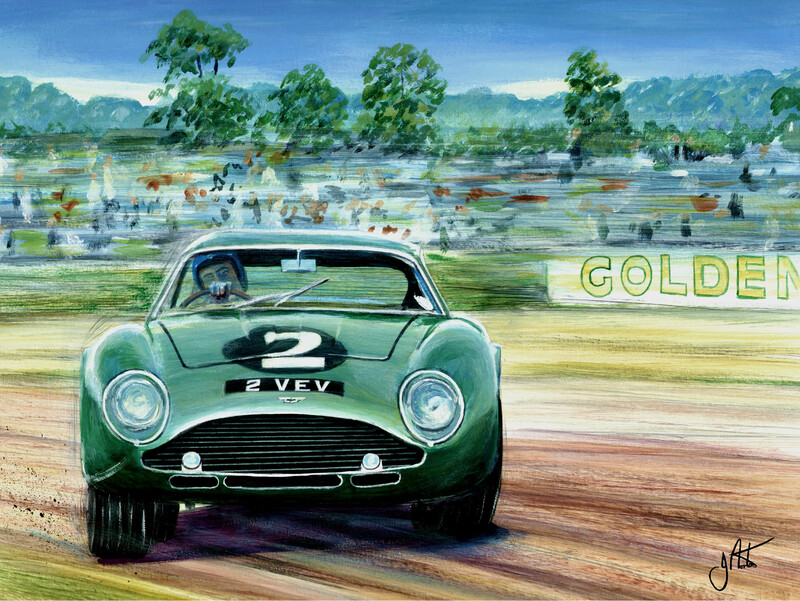 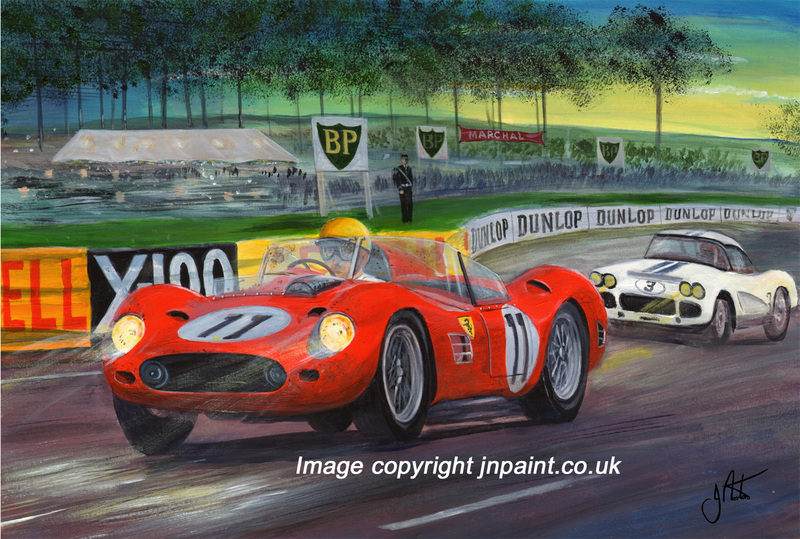 Jim Clark sideways during the 1962 Goodwood TT in the DB4GT Zagato. 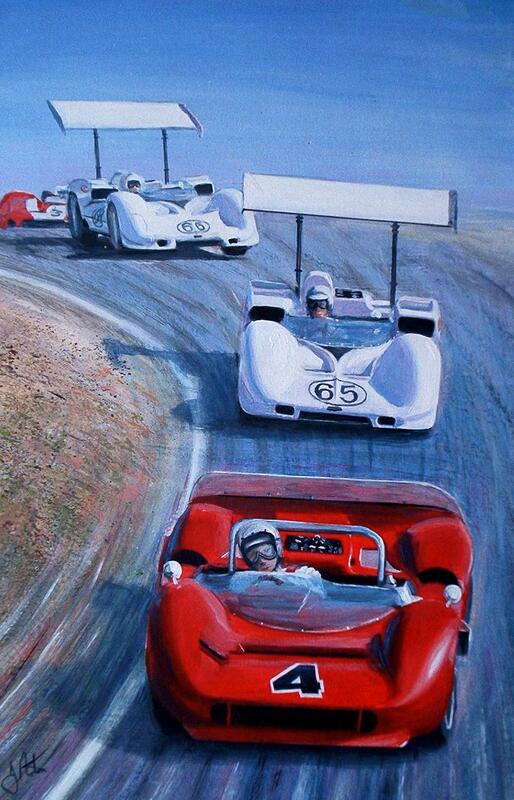 Phil Hill leads team boss Jim Hall down the corkscrew at the 1966 Laguna Seca Can-Am round. 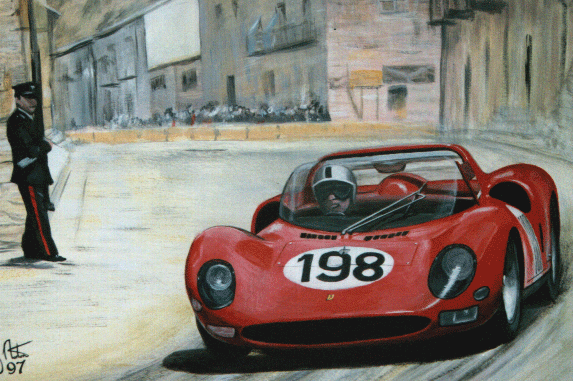 Oliver Gendebien in the 1960 Le mans 24 Hours winning Ferarri TR60. 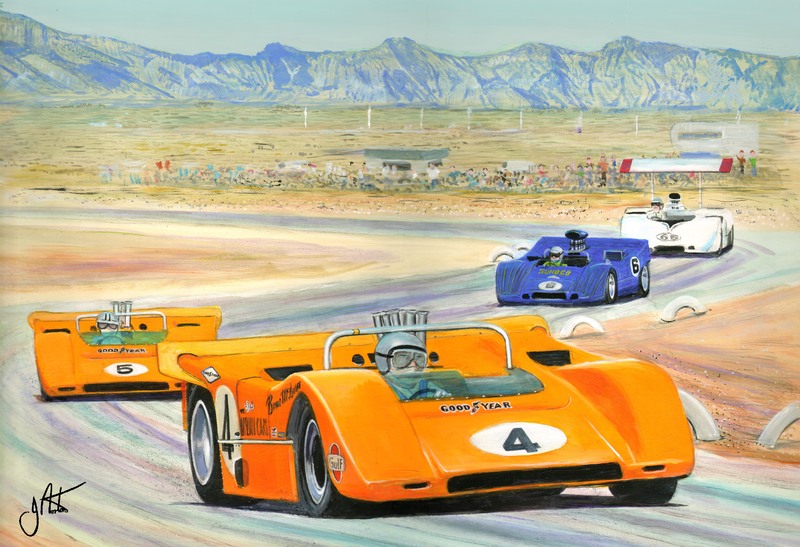 Bruce McLaren on his way to pole position in the Riverside Can Am of 1968.